The City of Santa Clarita Environmental Services offers information to aid the community in sustaining long-term environmental quality of life. The Residential and Commercial Recycling Programs assist in diverting materials away from our local landfills and back into productive use. Likewise, their Stormwater Program has been developed to protect the local waterways from pollution and enhance water quality in Santa Clarita. The City is also involved in programs encouraging residents and businesses to safely dispose of e-waste, bulky items, hazardous waste, used motor oil, sharps, and other toxic chemicals. Working with several local businesses, the City of Santa Clarita Environmental Services find ways to help reduce the amount of pollution and increase energy efficiency making the Santa Clarita Valley a better place in the process. With programs such as their green restaurants initiative, recycling market development zones, and their energy efficiency program the City of Santa Clarita Environmental Services work to help bring better and cleaner running programs to all of the local Santa Clarita Valley businesses. Working to help make the city of Santa Clarita a greener place, they have created a recycling program that makes it easy for local business to efficiently recycle any waste they may have. Realizing the importance of keeping our valley green and helping increase the energy efficiency of local businesses, the city’s Environmental Services have only gone on to help lower costs and keep businesses running cleanly. The city uses a set of guidelines for all automotive maintenance businesses to make sure that dangerous waste is properly taken care of and that no additional waste need be created. By creating a list of services and benefits for the residents of the Santa Clarita Valley as well as the businesses, they are providing services and guidelines for residents that helps keep the valley green and clean. Helping to improve the air quality of the Santa Clarita Valley, the South Coast Air Quality Management District (AQMD) is the air pollution control agency for most of Southern California and they provide helpful resources regarding air pollution and reducing your personal exposure. Providing outlines for water conservation, the city of Santa Clarita is hoping to help keep things running smoothly even in this extended period of drought. 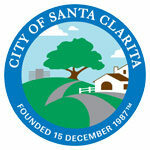 Keeping the city of Santa Clarita green and clean is very important to the government and the residents prompting the creation of the City of Santa Clarita Environmental Services.